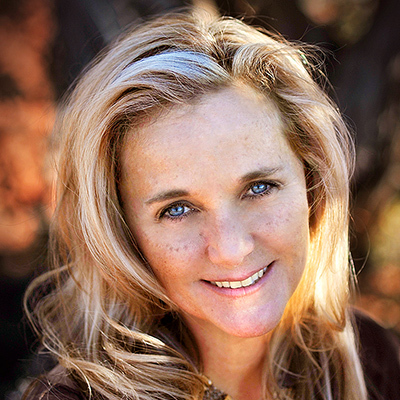 The I AM Goddess Collective Podcast interviews Sedona Shaman, Anahata Ananda to discover what it means to awaken your inner Shaman. Host Nixie Marie and Anahata explore both sides of Ayahuasca ceremonies, healing through deep core work and creating new paradigms. 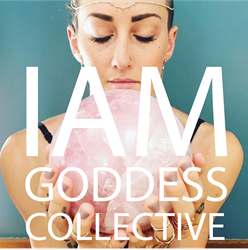 Shamangelic Healing founder Anahata Ananda was recently a guest on the “I Am Goddess Collective” podcast with host, Eco-entrepreneur and podcaster, Nixie Marie. Their discussion into what it means to have your “inner Shaman” awakened opens with a blessing, offered by Sedona Shaman, Anahata. She uses the power of the state of presence to draw in listeners to the moment. With full attention and anticipation setting the stage, she begins unraveling how she found herself down the path of becoming a Shaman, with an investigation into the early factors. “It was a full-life meltdown that catalyzed me," shared Anahata. “I didn’t have the tools and resources." The struggles she faced propelled her to seek answers through a variety of modalities such as Shamanism, personal development, communication, plant medicine and deep core healing work. “I’m an Integrationalist. I really thrive, personally, where those fields intersect." She states it is the reason her work as a guide and healer in her Shamangelic Healing sessions, blend together everything she’s learned across all modalities. “There is not just one right path,” Anahata shares. 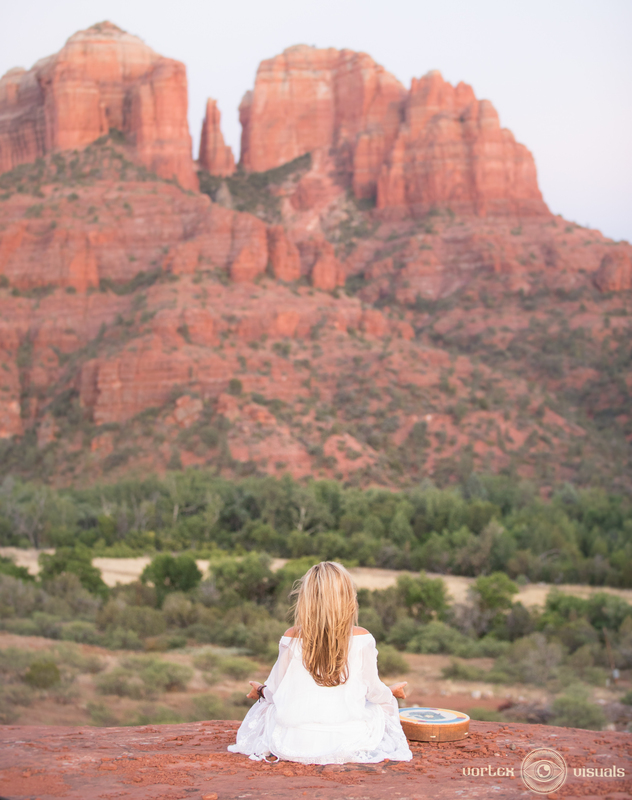 She has created the Sedona Empowerment and Awakening Weekend, a 9 course, classroom-style learning series to offer a wide variety of life-empowerment tools to attendees that she did not have available to her when she was seeking them. Anahata shares how she found a Shaman whom she states had the courage to take her into the depths of the dark places of her past, and from there, everything changed. The show turns to an investigation into which elements in nature are important tools for gaining information and strength in day to day life. They go into deep discussion about the ceremonial aspects of plant medicine and Ayahuasca. Nixie and Anahata explore how the plants can be utilized beneficially, as well as when they can become a poison and how discernment is key. This is explored in greater detail in Anahata’s new upcoming series, “The Shamangelic Healing Podcast with Anahata Ananda". She points out the difference between ingesting plant medicine and taking in the essence or energy of the plants through several, days-long ceremonies with each one. Nixie touches on the prevalence of Ayahausca ceremonies in her community as a spiritual lifestyle choice, which opens the doorway for Anahata’s viewpoint on authentically getting to the root problem of that which people want to change. Anahata states, “You still gotta do the work; you still have to be accountable and you still have to make the changes in your everyday life. The work is deep, and it takes time.” The implication is that people have expectations of Ayahuasca ceremonies to solve their unresolved problems. Clients come from around the globe to work with Anahata to heal their deep core issues and more prevalent recently, are those arriving after having experienced an Ayahuasca ceremony. Her alternative is her signature, Shamangelic Breathwork Ceremony for cathartic release, empowerment and reconnection. The hour-long I AM Goddess Podcast transitions into discussing the ability to create a new paradigm through authentic embodiment and being present in the moment and in life. “So many just check out, just go through the motions,” Anahata points out. By addressing anything from the past which is preventing full presence in current daily interactions, new foundations can begin to be built in personal and professional relationships. With the focus on personal development on the rise, many are seeking techniques, tools and resources to assist them to fully feel vibrancy in life. 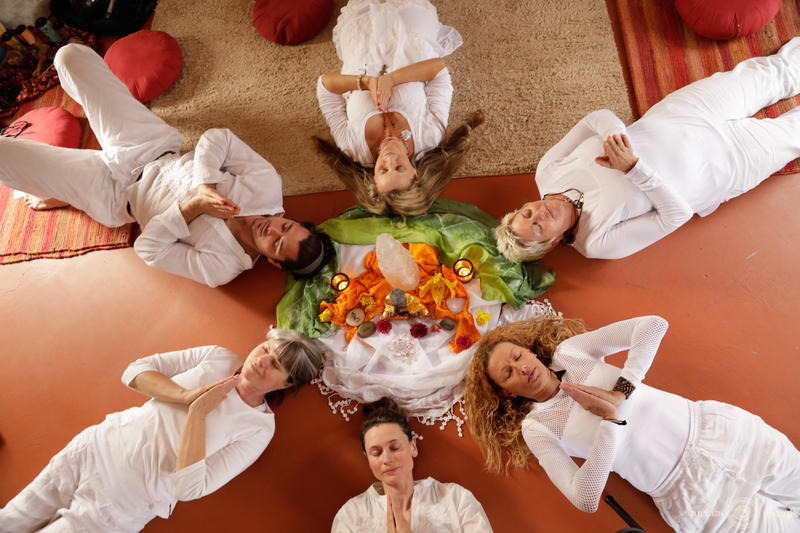 Anahata offers a variety of Shamangelic Healing services year-round, including private sessions, sacred land journeys and training courses that incorporate Shamanic teachings and other energy healing modalities. She also offers Tailored Retreats for individuals, couples and small groups that can include a combination of private healing sessions, sacred land journeys and other offerings based on various needs and areas of interest. Shamangelic Healing is the premier center for Shamanic healing and spiritual awakening in Sedona. It is conveniently located in Uptown Sedona close to restaurants, shopping and hiking trails.